Yo-Yo Girl Cop is a fun flick! A rebellious teenager (Matsuura) is recruited to go undercover in a private school to weed out potential terrorists. She needs to do this to save her mom. When she gets to the school, she realizes she's in too deep. There's one more piece of crucial piece of info: She's armed with a deadly steel yo-yo! It's a good idea and the opening sequence is slick, but the movie lags in the second half. It makes up for it in the climax though. Matsuura puts in an entertaining performance. 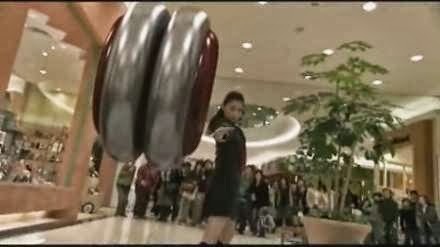 Yo-Yo Girl Cop is worth seeing for the cool yo-yo action and Matsuura's performance.